A tree shaded, landscaped circle drive & private courtyard with fountain welcomes you to this custom built Parade Home located in the exceptional gated golf course community of Eagles Bluff. Large open living, dining & kitchen with soaring beamed ceilings & stone fireplace with built-in cabinets, all overlooking Lake Palestine. Handscraped hardwood floors, surround sound (including screened porch), central vac, plantation shutters, high end floor to ceiling wood windows, recirculating hot water, LED lighting, a generator plus an add'l garage for 2 golf carts. Oversized screened patio lakeside, outdoor grill, fireplace & dining area! PLUS office with built-in cabinetry and studio with natural light. HIGH FENCED HUNTING RANCH IN EAST TEXAS! 106 wooded/pasture acres includes state approved whitetail breeder pens, stalls & runs. Exotic Axis on property also. High hill coastal pasture w/amazing views, spring-fed creek, low slough for duck hunting, hardwoods, cross-fenced cattle pastures. Spacious main house boasts 5 bdrms, 4 ba, 2 master suites, large front porch & fabulous sun room overlooks in-ground pool. Barndomium, built in 2007 & used for lodging customers on guided hunts, overlooks approx two acre pond. This 1600sf 2nd home has high ceilings, open concept kitchen/living area, 2 lg bdrms, 2 baths & utility attached to 20X40 shop. Great income property located approx 2 hours from Dallas or Houston. Incredible Mediterranean Lakefront Home available on Lake Palestine! This home has EVERYTHING you could possibly desire. An amazing gourmet kitchen (2015), master bath & closet (totally renovated 2014), all new windows, flooring, a/c, backup generator, & SO MUCH MORE! The main level has an open living/dining/kitchen, master suite with amazing bathroom & a separate exercise room/office/nursery. The lower level houses an additional central living area & 2 guest bedrooms & baths plus a bonus/game room located off the back patio. Relax by the fenced heated pool or head to the boathouse with covered & open seating, storage, 2 boat lifts plus jet ski lift. A three car garage and porte-cochere. Spectacular WF lakeside living in 3400 sq. ft. updated home placed on w WF lots w 190' of shoreline! Open concept living/kitchen/dining w new hardwood flooring. Updated, sleek kitchen boasts Samsung stainless appliances, new countertops & a family friendly island. Downstairs office enjoys views of the lake but could be utilized as a second living space or formal dining room. 2 generously sized bedrooms downstairs with large closet space. Upstairs is a large bedroom w sitting or workspace area. Master Suite has a sitting space w 2 sided gas fireplace, walk-in closets, soaking tub, expansive water views, a tiled and glass shower and french doors open to a private balcony overlooking the bay. Multi-level deck, a huge fenced back yard & more!! Updated waterfront home for sale on Lake Palestine! On oversized lot on a beautiful east TX lake. Private gated concrete drive leading to front garage or pull around to side entry garage. Living room w/ WBFP, bonus family room, kitchen w/ granite counters & breakfast bar, breakfast room, formal dining, oversized utility room w/ sink & tons of storage & so much more! SPACIOUS master suite (only 1/2 flight of stairs up) w/ 1138 sf includes sitting area w/ coffee bar overlooking lake, updated master bath w/ huge walk-in shower, his & hers vanities, along w/ private balcony overlooking incredible tree shaded back yard. Garage has separate entry heated & cooled workshop. Many decks & patio areas lakeside. Boathouse w/ 2 slips & electric lifts. Inviting WF home on Lake Palestine in East Texas! 1.5 hrs from Dallas TX & 3+ hrs from Houston & Austin! Wooded landscaped lot welcomes custom, lovingly maintained 1 owner home, open floor plan, wood walls, WBFP, 3 bedrooms & 3.5 baths. The sunsets are heavenly from the tree shaded multi-level decks located lakeside, wide open views facing west over lake. Master suite w/ 2 walls of windows & french doors opening to deck. Utility room, half bath, dining room & kitchen w/ island all on the main level. Game/bonus room also on main level. 2 spacious guest bedrooms, full bath, cedar closet, plus an office/exercise room. Lots of storage & central vacuum. 2 car garage w/ storage, 1 stall boathouse on deep water. Located in The Villages resort. Waterfront property w/ Approx 300 ft bulkheaded shoreline, 180 degree open water views, gated entrance, lg tree shaded 1.15 acre lot. Open concept, split bedroom, new kitchen w/ custom cabinetry & granite. Living area w/ WBFP, vaulted & beamed ceiling, master suite, bonus room, lg utility/craft room, lg covered patio, landscaped yard, automatic sprinkler from lake, lg garage has been finished out w/ wood ceiling & walls, ceiling fans & can lights to be enjoyed as party pavilion (adjacent to) fenced pool w/ diving board & slide, tiki hut w/ bar, stereo & mini-fridge, lakeside firepit. 2 stall boathouse w/ electric lifts (for boat & jet skis), 2 storage buildings. Neighborhood boat launch 1 block away. Like new waterfront home on Lake Palestine! Fish & relax at this beautiful lake in the Pineywoods of East Texas, only 1.5 hours from Dallas TX. Three levels with master bdrm/bath on main level. Open living/dining/kitchen with fireplace & tile floors. Kitchen has large island, granite, & breakfast bar. Upper level has 3 bedrooms, bath, & bonus room. Guest suite on lower level with access to back porch through French doors. Balcony & patio overlook the lake. Large level back yard is perfect for volleyball and outdoor fun! One stall boathouse w/ electric lift & sundeck. 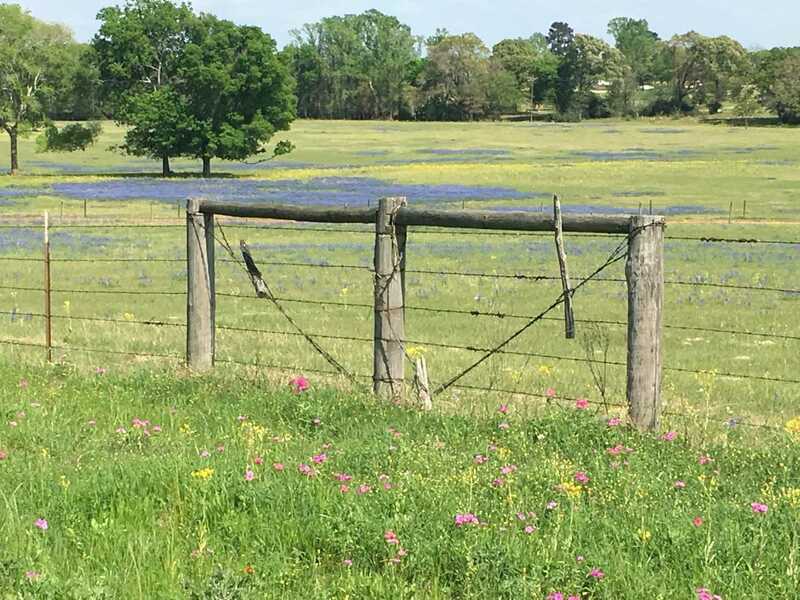 All located on deep water protected bay in well maintained site built homes only Chimney Creek Estates on the southeast side of the lake in Bullard ISD. Waterfront retreat on Lake Palestine in East Texas! This traditional style home is situated on a .678 acre tract (above the 355' elevation - over an acre including UNRA allocation) at the end of the road on a peaceful bay at the southeast side of the lake. With approximately 7 plus feet of water depth when lake is full pool at new boathouse and very limited wave action, fishing and boating is easy from this location! With approximately 2600 sq. ft., this 3 (plus bonus room) or 4 bedroom, 2 bath home has open living/dining/kitchen with gas log fireplace, all overlooking Lake Palestine. Covered porch surrounds 3 sides of home. Level to gently sloping large lot. Master and 2 guest bedrooms are located downstairs with bonus room upstairs.